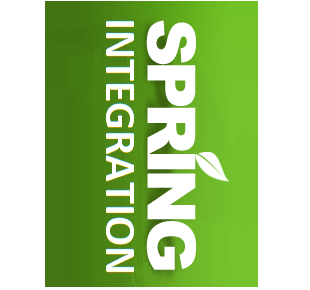 These tutorials cover the Spring Framework's integration with a number of Java EE (and related) technologies. This is not related to spring integration framework (spring-integration-xyz modules) which is built on enterprise integration patterns. These tutorials are related to the components which are either part of Spring web MVC or are separate modules which can optionally be plugged in with Spring web MVC to integrate with other technologies. Spring remoting support for RMI, using RmiServiceExporter for RMI server and RmiServiceExporter for the client. Example of using HTTP based hessian binary web service with Spring. Example of using HTTP based Http invoker web services with Spring. 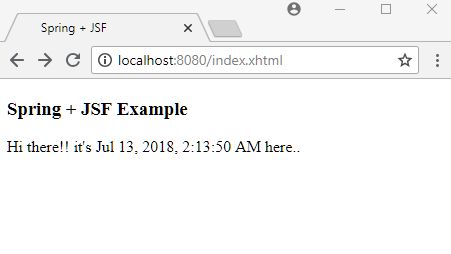 RestTemplate getting started example using HTTP GET method. How to upload a file via RestTemplate? Using javax.jms.MessageListener in Spring application and JmsTemplate to send messages. Annotation-driven listener endpoints with @JmsListener. 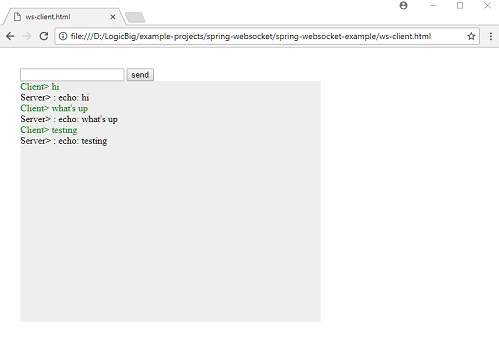 Spring WebSocket + Spring MVC example. Understanding Spring Cache key generation. Understanding Spring Cache eviction mechanism by using @CacheEvict annotation. How to implement and use custom KeyGenerator? How to register custom KeyGenerator globally using CachingConfigurer?